Krishna attraction and mysticism lead innumerable art lovers to paint Krishna with all His charm and grace in different hues and form. 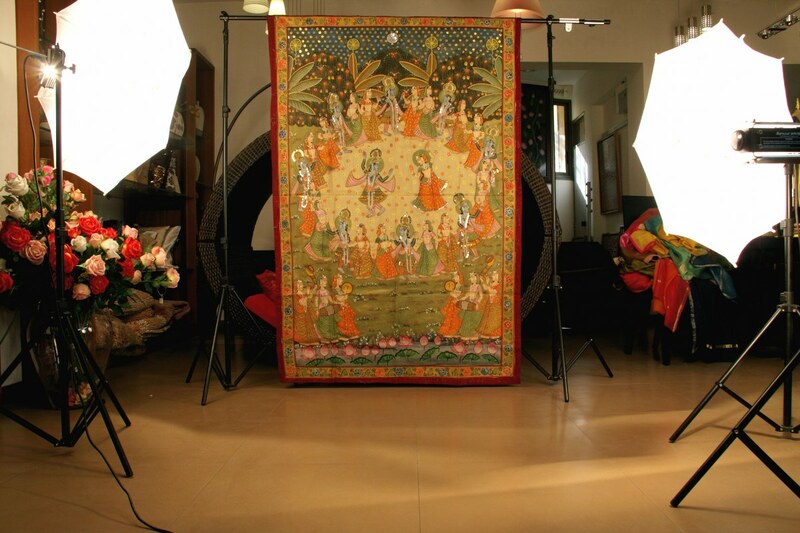 In this unique Pichwai painting which is re-creating the ‘Ras Lila’, natural colors made from green vegetation, chemicals and dyes are used to create color combinations. Not only is it meaningful, but also a great piece of decoration for indoor spaces.